Our children spend hours in front of their computer or tablet when it is not their phone, are they well protected? And you? Functioning of the cells of different organs. This occurs on a small scale and can take many years or even decades to manifest itself as a known disease. Only a few doctors are currently able to link EMFs to those symptoms. Just like with tobacco, pesticides and sugar, the causal links between EMFs, many diseases and genetic mutations are hard to demonstrate over a short period of time. The manifestations of the problems will appear in the long run. Governments advise to start taking action now to protect ourselves. Many pathologies, diseases, and symptoms will undeniably continue to increase in frequency and intensity over the coming years and decades, due to the proliferation of wireless technologies. 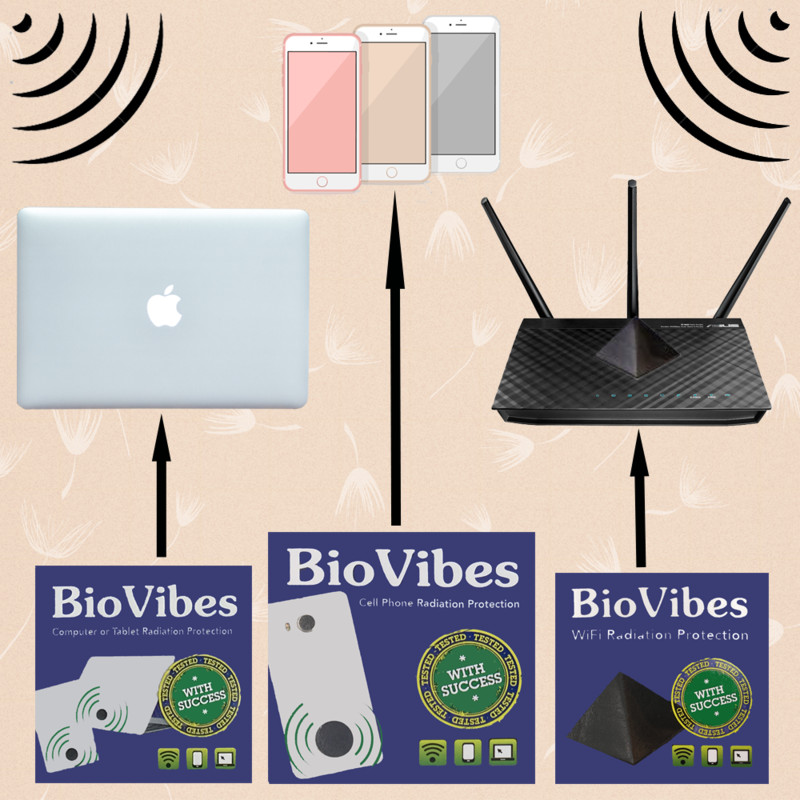 How the BioVibes Products Work? Artificial electromagnetic radiations, also known as “electro smog”, are considered as free radicals. This characteristic makes it unstable and gives it a high reactivity to surrounding molecules. 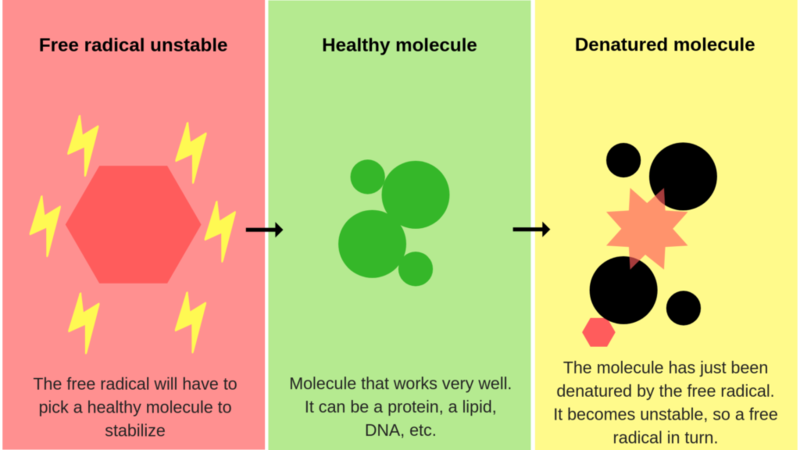 A free radical stabilizes itself with its neighboring molecule, which in turn also becomes a free radical, and so on. The phenomenon is spread by chain reactions (FIG. 2). Atoms, to be stable, must have an even number of electrons, which are gravitating two by two around the nucleus. These electrons are said to be “paired”. Free radicals attack our body cells, making us age prematurely, or making us sick. 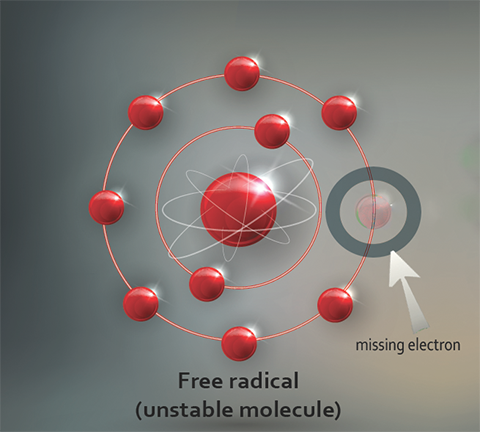 Free radicals are produced in familiar situations: breathing, digesting, stress, sun exposure, exposure to pollutants, infections, inflammation, smoking, poor nutrition and, of course, exposure to the artificial electromagnetic radiations. 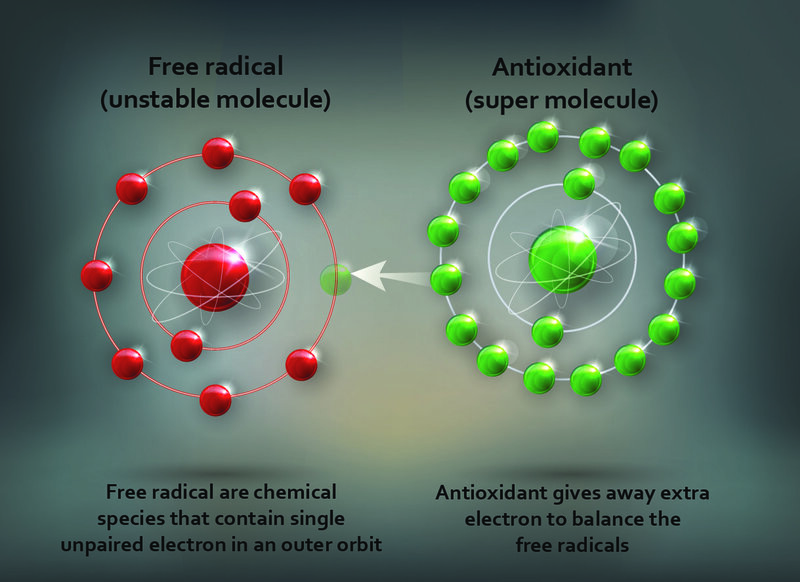 To counter the effects of free radicals, antioxidants are needed. Fullerene1 is the active element in BioVibes products. A fullerene is a molecule composed of carbon that can take a geometric shape reminiscent of a sphere (FIG. 4), an ellipsoid, a tube (called nanotube) or a ring. 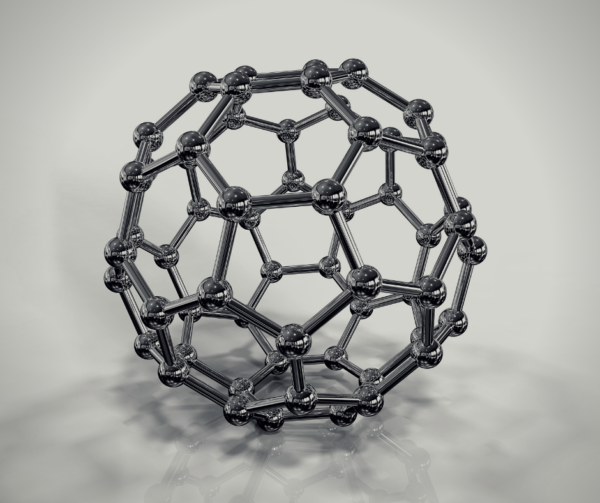 Fullerene perpetually generates molecules with extra electrons. It’s more than a simple antioxidant, it’s a super antioxidant. Moreover, by its shape (FIG. 4), fullerene creates an internal vortex capable of attracting free radicals present in artificial electromagnetic radiations. Those pollutants are automatically stabilized with extra electrons that are generated endlessly (FIG. 3).